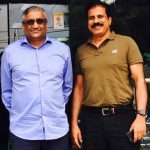 It is well known that there are only two Indians from the investing fraternity who are allowed to enter the hallowed gates of the Forbes Billionaires’ Club. The first is our own Rakesh Jhunjhunwala, the Badshah of Dalal Street. 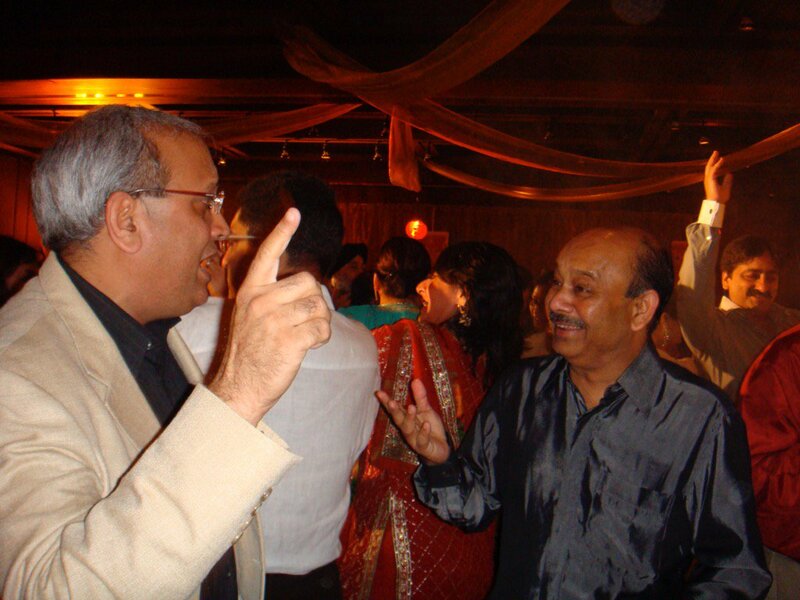 The second is Radhakishan Damani, who is revered by Rakesh Jhunjhunwala as his guru/ mentor. 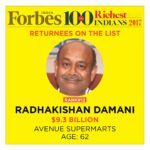 While Rakesh Jhunjhunwala is a long-standing and permanent member of the Forbes Billionaire’s club, Radhakishan Damani made his debut in 2014 with a relatively modest net worth of $1 Billion (Rs. 6,500 crore). Unfortunately, Radhakishan Damani’s tenure in the Billionaires’ club was short-lived. 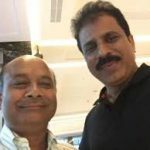 A savage Bear market caused the veteran investor’s net worth to plunge below the high water mark of $1 Billion and his name was surreptitiously deleted by Forbes from the list of Billionaires of 2016 (see Bear Market Claims First Victim As Radhakishan Damani Loses Exalted Status Of Forbes Billionaire). At that time, I had confidently predicted that there is no need for us to despair because Radhakishan Damani would again storm back into the elite club. That prediction has now come true. Radhakishan Damani’s net worth has now soared to an eye-popping Rs. 24,000 crore which is equal to $3.6 Billion. 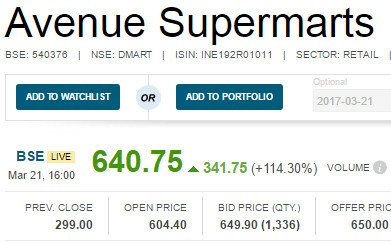 D-Mart soared an eye-popping 114% today on the first day of its listing and closed at Rs. 641. The ET pointed out that this is the biggest listing gains in the last decade. No IPO has in recent times given the sort of gain that D-Mart has given. The record was so far held by Quess Corp with a listing gain of 57.41 per cent. Thyrocare Technologies was next with 48.43 per cent gain followed by Advance Enzyme with 35 per cent gain. 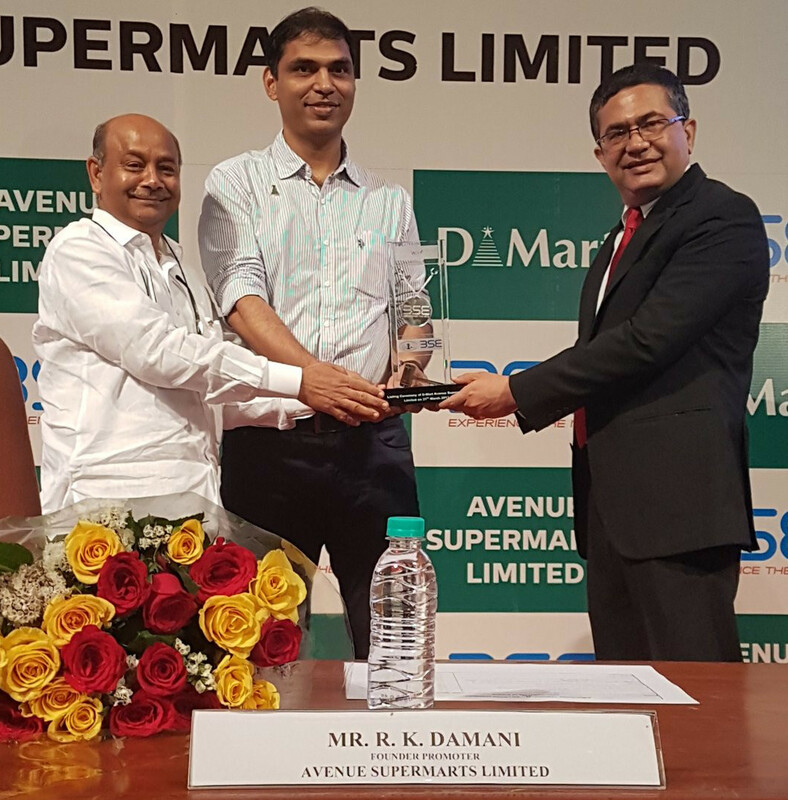 #DMart (Avenue Supermarts) ended with 115% gains on market debut. Net worth is more than that of heavy-duty industrialists? 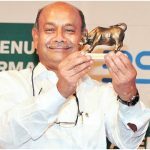 The ET computed Radhakishan Damani’s net worth at $6 Billion on the basis that he and his family members (include Bright Star Investments and Derive Investments) held 91 per cent stake, or 51,29,10,000 shares, in D-Mart before the IPO. Radhakishan Damani’s networth is more than that of big-ticket industrialists like Rahul Bajaj ($3.5 billion), Anil Agarwal ($3 billion) and Anil Ambani ($2.7 billion), the ET said in a tone of great excitement. If this is true, then it is a matter of great pride for all of us in the investing fraternity. Some also pointed out that the market capitalisation of DMart is more than that of the MNC FMCG companies whose products it sells for a small commission. Naturally, all the ace investors and experts rushed out to congratulate the savvy Billionaire on his amazing achievement. RK DAMANI – HUGE RESPECT. Today is a historic day for some of the icons of stock markets. #DMart lists with market cap of 37,000 cr. Momentous day!! But how come the savvy investor left so much money (Rs. 1,000 crore) on the table? Some ace investors were quick to point out that Radhakishan Damani appears to have underestimated the demand for the stock of his company and he grossly under priced it. SP Tulsian was charitable and called it a “goodwill gesture“. He lamented that if the issue had been priced correctly, the Company could have effortlessly pocketed an additional Rs. 1,000 crore. RKD, an Ace investor sold #DMart stock only to find investors ready to pay twice the price in a week. So stop.cribbing when you sell cheap. 50 shares of D’Mart can buy a posh 3BHK in 2037? Some experts joked that DMart would compound at such a furious pace that its lucky investors will rake in a massive fortune in the foreseeable future. 50 shares of DMart allotted! Never going to sell them, will buy a 3BHK in Bandra with these 50 shares in 2037! ??? Is D-Mart still a good stock to buy or is it a case of “irrational exuberance”? Now, the million dollar question is whether D-Mart is still a good stock to buy and whether novice investors like you and me should storm the counter and grab a chunk for our own portfolios. “D-Mart is a wonderful company and is going to grow much more. It can be a 5x company in the next 10 years. That’s the kind of potential that the company has. It is a well-managed company,” he said implying that D-Mart may overtake Future Consumer (FCEL) in the race for multibagger gains. “If I am looking at it as a business, which is producing this kind of cash and profitability and you have a three-five year outlook as it settles down because the liquidity is going to be challenged and there is probably there about 10% kind of float and some of these institutional allottees and anchor etc may not just sell. With that, it may make sense to be participating in the first few days if you really want to own the stock in size and for the long term,” Ayaz Motiwala opined. 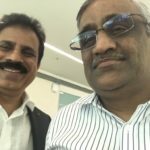 S Ramesh of Kotak pointed out that a number of big-ticket institutional investors are unsatisfied at the meagre allotment that they have got in the IPO and that they will maintain a 24×7 vigil at the counter, eager to snap up the stock on every correction. 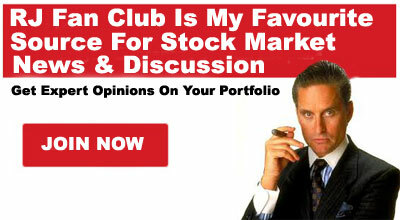 This implies that the stock price will never correct in a meaningful manner. He also gave the Company a clean chit by emphasizing that it has “excellent fundamentals” in the form of high ROCE, ROE, top line and bottom line growth, future growth prospects and visionary management. However, Arun Kejriwal and other experts condemned the entire episode as one of “irrational exuberance“. “I find it very difficult to buy D-Mart at this valuation. It reminds me of the heydays of retail stocks,” they said in a grim tone. Some other experts echoed this view and opined that the valuations are now stretched with all positives priced in and that there is unlikely to be a meaningful price gain now. They added that there are better options available in the market. Dalal Street advances #AllfoolsDay by 11 days. PE for Rent. So the game being played in #DMart is this. "If you dont buy today, you may not get quantity tomorrow. Float may be less." WoW. In the light of the divided opinion of the experts, it appears that for the present we will have to rest content with merely congratulating Radhakishan Damani on his incredible achievement and will have to postpone our plans to storm the counter. Perhaps, if the stock price corrects in a meaningful manner, we can tuck into the stock in a slow and steady manner and partner the savvy Billionaire on the road of endless wealth creation! So much euphoria. It will not sustain for long. Crazy debut. It is difficult to become a multibagger with this kind of market cap. you are right. i have booked the profit. in fact, no retail company is cheap at this stage. Does this frenzy signify a short-term market top? 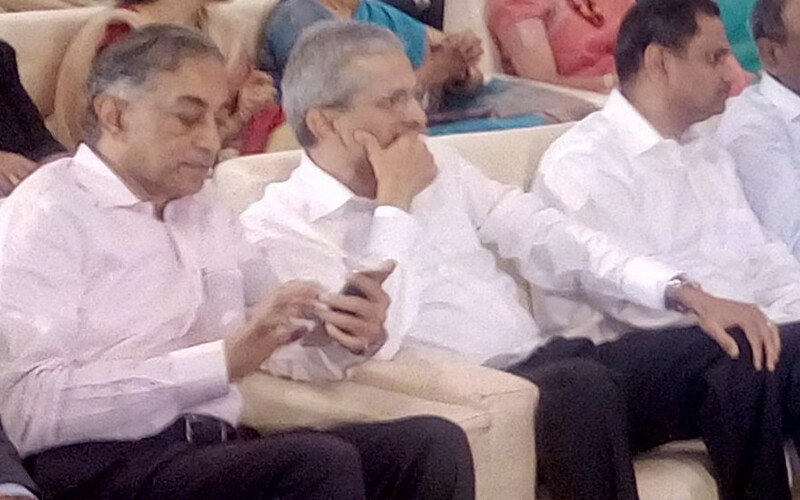 The Gentleman sitting with Vallabh is Nemish Shah of erstwhile ENAM. Shyam Shekhar is clearly not in a mood to suggest Dmart at this price.